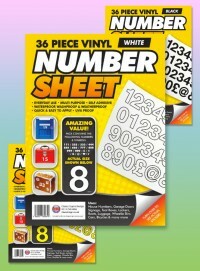 Category: Letter & Number Sheets. If you are looking for a high-quality labelling solution, make Classic Sign your first port of call. 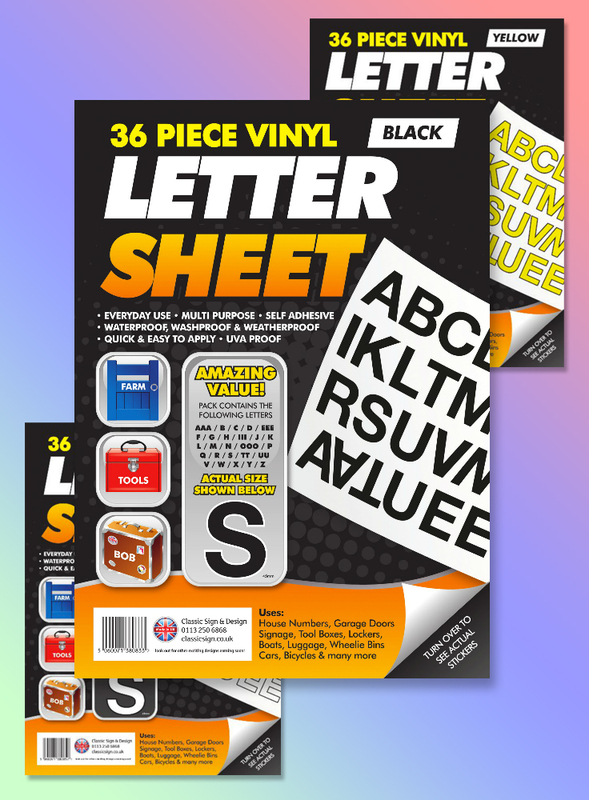 Our 36-Piece Vinyl Letter Sheets are perfect for use inside and out and with a wide range of letter options and matching number sheets available you are guaranteed to get your message across. 36-Piece Vinyl Letter Sheets are available in a choice of colours including yellow, black and white and come with extra letters and numbers to suit your needs. They are made from waterproof, weather-proof vinyl and with a strong self-adhesive backing they are guaranteed to stick to any smooth surface as long as it is clean and dry. 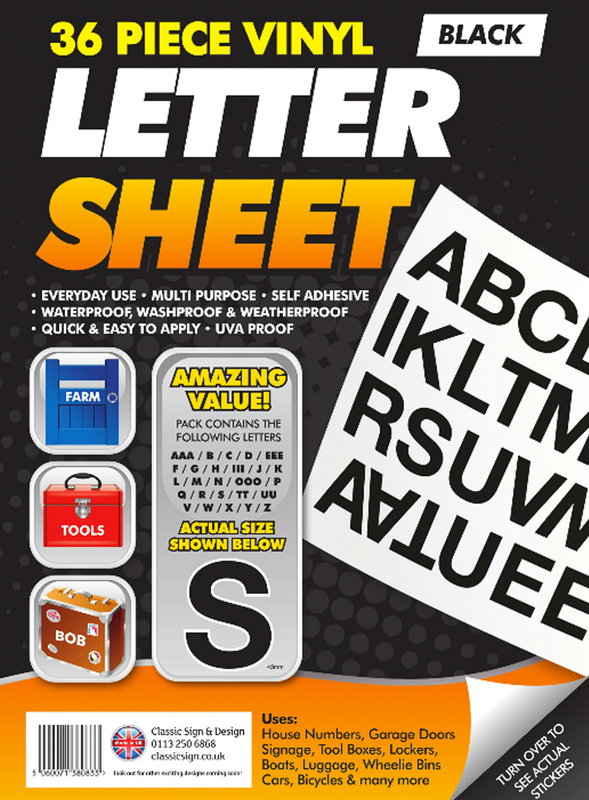 36-Piece Vinyl Letter Sheets are the perfect solution for labelling all your personal or professional possessions as well as your home or work environment. Tradesmen love our letter sheets for labelling their ladders, tools, materials and even their work vans while businesses use them to label meeting and work rooms and other specially designated areas. Need to label your child’s bike or scooter? Vinyl letters will make their playthings easy to identify in the park or playground without ruining their good looks. Need to name your new boat or jet ski? Vinyl letters give you the flexibility to personalise any leisure item with an eye-catching and durable finish. Each pack contain all letters of the alphabet plus extra a, e , I, o, u ,& t’s.